The series is rounded off by this volume which focuses on "immigrant" policy, i.e., the ensemble of institutions, laws and social practices that are designed to facilitate the integration of immigrants and refugees into the receiving countries after they arrive. 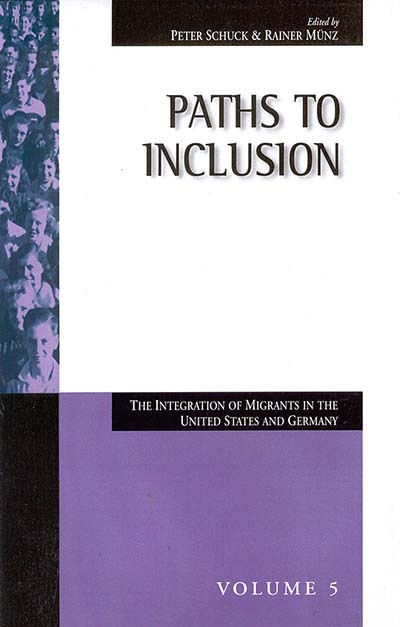 The chapters bring both theoretical and empirical analysis to bear on the processes of assimilation, migrants' development of transnational linkages, patterns of social and economic mobility in the immigrant and second generations, migrants' rights to public benefits and equal status, and the laws of citizenship in the two countries. The volume is highly interdisciplinary, drawing on the research of demographers, lawyers, and sociologists. It is also explicitly comparative,underscoring the similarities and differences in how the United States and Germany conceive of the role of immigrants in their societies and how the two nations incorporate them into civil and political society. Introductory and concluding chapters highlight the principal themes, findings, and policy implications of the volume. Peter H. Schuck is the Simeon E. Baldwin Professor Emeritus of Law and Professor (Adjunct) of Law at Yale Law School where he has held the chair since 1984. He has also served as Deputy Dean. His major fields of teaching and research are tort law; immigration, citizenship, and refugee law; groups, diversity, and law; and administrative law.